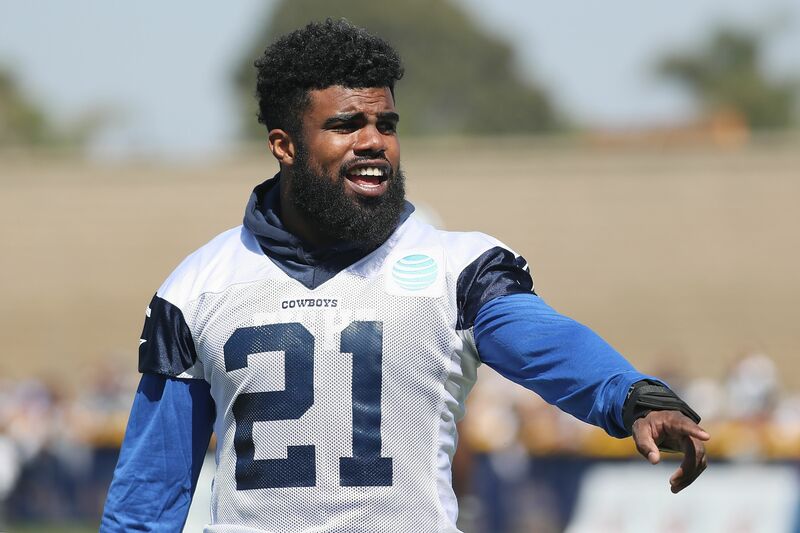 Earlier on Thursday, we learned from the NFL Network’s Ian Rapoport that the decision on whether or not to suspend Dallas Cowboys running back Ezekiel Elliott could come as soon as Friday. Now, it seems as if when the decision does come down, be it Friday or next week, it will not be good news for Jerry Jones and the crew in the Big D.
According to Pro Football Talk’s Mike Florio, adding to the report from Rapoport earlier in the day, it is in fact expected that Elliott will be dealing with a suspension to start the season under the Personal Conduct Policy. The NFL has been investigating Elliott over a domestic violence incident he was allegedly involved in last year with an ex-girlfriend. What’s interesting to add from the report by Florio, aside from the fact that it may not come down until next week instead of Friday, is that it’s not yet known how long the suspension will be. It’s looking as if we won’t find out the length of the suspension until Roger Goodell and the NFL office officially drop the news. Elliott was selected at the No. 4 overall pick in the 2016 NFL Draft by the Cowboys, and the bold move to take a running back that early in the draft paid off for the organization. Elliott led the league in rushing his first year as a professional and was part of a rookie tandem with quarterback Dak Prescott that earned the Cowboys an NFC East title and a trip to the playoffs. That trip was short-lived, however, as they were immediately bounced by the Green Bay Packers. Everyone expects the Cowboys to have another successful year coming up in 2017, but they’ll have to begin that journey without the stud running back, it appears.